From Cape Town & Cape Town International Airport, travel along the N2 (East) towards Somerset West over the Sir Lowrie’s Pass, past Grabouw, towards Houw Hoek. 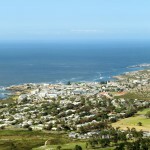 At the bottom of the Houw Hoek Pass take the R43 for approximately 27 km towards Hermanus. You will pass The Gateway Spar on your right and approximately 1 km further you will see a large sign “Main Road Veterinary Surgeon” on the right hand corner of Main and Albertyn Rd turn right into Albertyn Rd. At the second road turn right into Church Street. Drive a further 2 km over Still Street. You will see Abegold Abalone Aqua Farm on your left. At the end of the Aqua Farm boundary wall take your first left into Whale Close. You have reached your destination “Whale Rock Estate”.